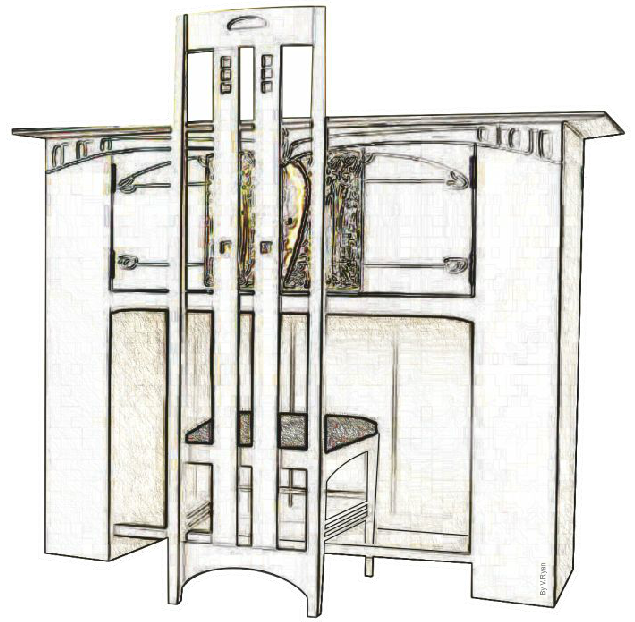 This is a Mackintosh desk and chair, designed for a drawing room in 1900 (sketch below). It was manufactured from oak and painted white. It has silver / copper panels. Charles Rennie Mackintosh produced several pieces of furniture and finished them with white paint. The storage box seen below has been manufactured from pine (not expensive oak) and finished with white paint. Mackintosh often used paint as a finish on his furniture. 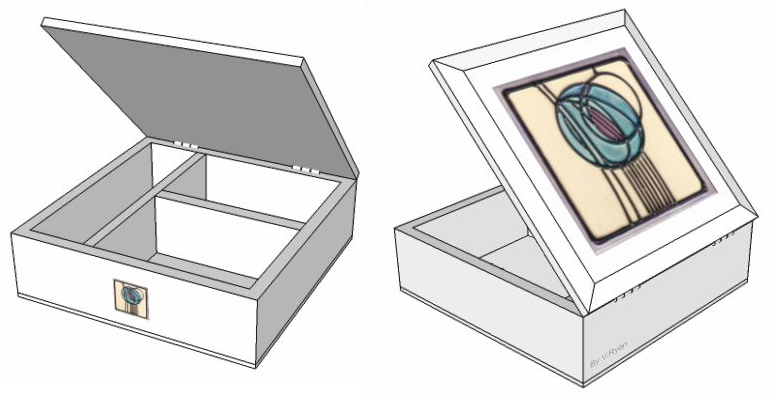 The lid has a chamfer around the edge and a Mackintosh styled tile at its centre.